WOONSOCKET, R.I. — Just after the Thanksgiving weekend, CVS Health announced that it has completed its acquisition of Aetna, establishing CVS Health as the nation’s premier health innovation company. “As the front door to quality health care, our combined company will have a community focus, engaging consumers with the care they need when and where they need it, will simplify a complicated system and will help people achieve better health at a lower cost. We are also leading change in health care by challenging the status quo with new technologies, business models and partnerships. 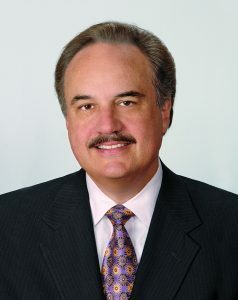 In doing so, we will continue to deliver on our purpose of helping people on their path to better health,” Merlo added. The combined company will connect consumers with the powerful health resources of CVS Health in communities across the country and Aetna’s network of providers to help remove barriers to high-quality care and build lasting relationships with consumers, making it easier for consumers to access the information, resources and services they need to achieve their best health. Access is a critical component of building a simpler and more responsive and affordable health care experience for consumers. New products and services developed by the combined company will be broadly available to the health care marketplace, regardless of one’s insurer, pharmacy benefit manager or pharmacy of choice. Additionally, CVS Health offerings, including retail pharmacy services, specialty pharmacy and long-term care, walk-in clinical services and PBM services, will continue to be fully accessible to other health plans. Aetna members will also continue to have a broad network of pharmacies, including community-based independent pharmacies, available to fill their prescriptions. CVS Pharmacy will continue to participate within the pharmacy networks for other PBMs and health plans. Coordination among physicians, other health care providers and caregivers, and the health care professionals at CVS Health, combined with expanded health screenings and advanced connected devices, can help providers predict and prevent major health events before they occur by, for example, identifying prediabetes symptoms or the warning signs of a heart attack. This will be done by remotely monitoring key health vitals or helping to ensure patients with chronic diseases take their medications as prescribed, which can improve patient health and avoid costly adverse events. “Health care delivery is changing before our eyes, and we are excited to be in the vanguard of that change. With a physical presence in almost every community across the country, we have the unmatched ability to meet consumers where they are and provide the care and services they need either face-to-face or with the unique set of virtual and physical delivery service capabilities that extends our physical presence in real time to meet their needs,” said Merlo. CVS Health has begun to put the foundational pieces of its new health care model in place and in the coming months it will introduce new programs and services designed to increase access to care, improve health outcomes and reduce medical costs for all consumers. In particular, these programs will target better, more efficient management of chronic disease using the networks, the technology and the people of the combined company. Enhanced health services in the community will include a range of services focused on self-management for patients with chronic conditions, expansion of services at MinuteClinic, nutritional and behavioral counseling, and benefit navigation support, as well as assistance with durable medical equipment, digital health apps and connected devices. Among other activities, CVS Health will build on its successful Project Health screening events at CVS Pharmacy and Aetna’s commitment to building healthier communities to offer new preventive health screenings in communities that are identified as high-risk for certain health challenges. These community-based programs will aim to improve patients’ health outcomes through expanded preventive health screenings and support in the diagnosis, treatment and management of chronic diseases that can be effectively treated with prescription drugs and enhanced care management, including high cholesterol, high blood pressure and diabetes. CVS Health will work with local community partners to provide patients who are diagnosed for the first time with the follow-up they need. To support these communities and newly diagnosed patients, MinuteClinic will also be introducing newly expanded chronic care management services. Additionally, CVS Health is developing innovative new medical cost-reduction programs to improve medication adherence and avoid hospital readmissions and unnecessary emergency room visits. This will include timelier and more comprehensive medication reviews as well as expanded services and hours at selected MinuteClinic locations to reduce inappropriate emergency room use. Under the terms of the agreement, each outstanding share of Aetna common stock is being exchanged for $145 in cash and 0.8378 shares of CVS Health common stock. CVS Health is not issuing any fractional shares in the transaction. Instead, the total number of shares of CVS Health common stock that each Aetna shareholder is entitled to receive is being rounded down to the nearest whole number, and each Aetna shareholder is entitled to receive cash for any fractional share of CVS Health common stock that the Aetna shareholder is otherwise entitled to receive. The transaction values Aetna at $212 per share, or approximately $70 billion. Including the assumption of Aetna’s debt, the total value of the transaction is $78 billion. The combined company’s shares are listed on the New York Stock Exchange under the ticker symbol CVS. The Aetna brand name will continue to be used in reference to the health insurance products. Going forward, Aetna will operate as a stand-alone business within the CVS Health enterprise and will be led by members of its current management team. As a result of the acquisition, shareholders are expected to benefit from a number of outcomes, including enhanced competitive positioning; the delivery of more than $750 million in synergies in 2020; and a platform from which to accelerate growth. The road map for value creation over the longer term has the potential to deliver substantial incremental value through the development of products and services that provide the opportunity to generate significant new growth opportunities aimed at reducing medical costs, growing membership and enhancing revenues. CVS Health funded the cash portion of the acquisition through existing cash on hand and debt financing. In anticipation of the closing of the acquisition, in March 2018 CVS Health issued an aggregate of $40 billion of unsecured senior notes at a favorable, weighted-average blended rate of approximately 4.19%. The notes have maturities ranging from two to 30 years. Additionally, in December 2017, CVS Health entered into a $5 billion unsecured term loan agreement. The term loan facility under the term loan agreement consists of a $3 billion three-year tranche and a $2 billion five-year tranche.